Are you planning to visit Mauritius in the near future? Do you find it hard to find an original gift for your loved ones? Does your family member/friend/partner dream of going /doing any of the attractions we offer on our website? If the answer to any of these questions is yes, then this is the right place for you! Whether it is a luxury activity, romantic cruise, extreme adventure, or any other, you can now order any of the activities we offer and surprise your loved ones with a once in a lifetime adventure! With our very extensive selection of attractions and activities to choose from, you can find the unique original gift idea to surprise your loved ones - a gift they will cherish, appreciate and never forget. How can I order the Gift Voucher? Once you receive the voucher by E-mail you can print the voucher or forward it to your loved ones. Please note that upon request, we can even customize the voucher according to your wishes and create a personalized voucher with the name of the person you would like to dedicate the gift to, add a personal greeting and/or even add a photo of your choice. How do I dedicate a personalized Gift Voucher to my loved ones? 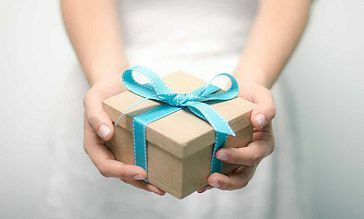 Once you receive the voucher you purchased to your E-mail (step number 4, as detailed here above), you should send us a reply E-mail with your request for personalizing the voucher, indicating the name of the person, the text for the greeting, and even a photo if you wish. How can I / the Gift Voucher holder reserve the activity for a specific date? Please note that when ordering the Gift Voucher, there is no requirement to book the activity on a specific date. This way you benefit maximum flexibility regarding the date of the attractions. As a Gift Voucher holder, you can choose the preferred date for this activity during a later stage once you already know the exact schedule for your trip. When you purchase a Gift Voucher, you will receive by E-mail the Gift Voucher for the relevant activity (or activities) you have chosen. This voucher with its reference number is your confirmation of the order and of the payment made by you, and it entitles you / the holder of the Voucher to go on the activity/attraction for which it was purchased. The voucher is valid for use for the relevant activity for which it was purchased for a period of 3 months from the day of its purchase. 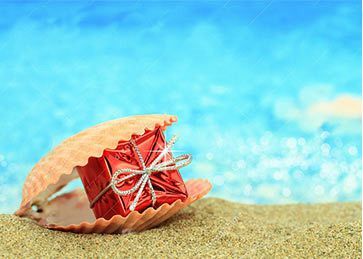 Once the Voucher holder decides on the preferred date on which to have the activity, the Gift Voucher holder should inform us on this date by E-mail sent to: info@mauritiusattractions.com or by using the online form on the Contact us page. Following the receipt of this E-mail, we will act in order to reserve the activity on the time and date that was requested, and we will reply with an E-mail confirming the reservation for this specific date. In some cases, due to reasons beyond our control (cases of no availability, national holidays and such) it will not be possible to provide the activity on your preferred date. In such cases, we will offer you alternative dates for reserving the activity, and will personally discuss with you all possibilities in order to find the best solution which suits you most. In case we will not be able to find any alternative date or solution which will be acceptable by you, we will offer you full money back while only deducting our credit card processing fees as detailed in our cancellation policy.